I guess the good news for Nikon is that Canon didn’t do some of the things that the Canon faithful were hoping they would. The 7DMarkII basically updates the crop sensor original with some of Canon’s newer technologies: all cross-point focus system plus PD on the sensor, DIGIC6 processing, and the RGB+IR metering sensor first seen in the 1Dx. The 10 fps maximum frame rate and built-in GPS are nice touches, and video gets the requisite 1080P/60 capability as well as some other high-end touches. We get somewhat better sealing, USB 3.0, and a larger capacity battery (670 shot CIPA), as well. The controls are much like those of the 5DIII (and 1Dx), making it relatively painless to be shooting crop sensor and full frame side by side. As if to rub salt in the DX wounds, Canon also announced a US$150 24mm (36mm equivalent) f/2.8 pancake prime for their crop sensor bodies. Things that didn’t change all that much are the sensor technology (now 20mp) and body style/build, both of which were probably the two highest hopes for new differentiation that Canon crop sensor shooters were hoping for. Canon’s sensors, while good at many things, still lag the Sony/Nikon sensors in things like dynamic range and pixel count. Meanwhile, there was strong hope that Canon would put an integrated grip into the 7DMarkII rather than an optional one, something that would have further distinguished the camera. Still, I wouldn’t underestimate this new US$1800 camera, as it really does count as a significant upgrade for 7D users, I think. Heck, it would count as a huge upgrade for Nikon D300 and D300s users. 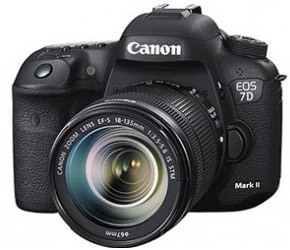 And there-in is the reason why I write about the D7II on this site. Canon, on the other hand, seems to be continuing to execute their old strategy. The only truly new bodies we’ve seen out of them lately are the 6D and the EOS M, and their sensor technologies haven’t really moved much in the last five years. Everything they’ve done has just been iteration on the old strategy using the old sensor technology tweaked to nth degree. Which still keeps the established user base happier than Nikon’s strategy, I think. So I’ll ask again: where’s the D300 followup? The new bar for DX “prosumer” is probably 24mp DX, 10 fps, and full pro body spec. In other words, totally doable. Indeed, it’s been a “do-able do” for several years, yet it just hasn’t been done. One self-imposed problem that Nikon just keeps facing is that it isn’t truly satisfying its most loyal customer base. The QA problems, the lack of good customer support and communication, coupled with the totally missing products, the lack of upgrades of significant products, and the strange emphasis on overlapping FX bodies at higher price points, are things are slowly eroding brand loyalty. At a time when you’d want brand loyalty to be highest so that you can better weather the camera sales downturn. So Nikon. Canon didn’t move the bar very far. You could easily jump over it. Will you?